My kids don’t get “screen time”- in other words, they don’t watch TV. We don’t own one and I don’t allow them to watch anything on our tablet or phones either. Actually, my kids don’t even ask to watch TV- we don’t have one and they have never watched on a Tablet-as they don’t even think of it as an option. They are still young so I still have some measure of control over what they know. By not having it in the house at all I can make sure that I don’t just “give in”- even for a short amount of time. Besides for the financial savings (No TV, no cable, no Netflix, no Hulu, no Amazon Prime, No DVD Rentals, no device for each kid) I want to raise my kids with good habits right from the start. My kids are still young so I still have the opportunity to raise them without the peer pressure and external influences that start to seep in as they grow older. TV is on for an average of 6 hours and 47 minutes a day in an American household. The number is staggering! Think about what you can do with all that extra time! My kids read, do arts and crafts, play with toys, play with mud, and just hang out. They are learning to do things with their time that are much more valuable that just sitting in front of a screen. This may not continue until adulthood but they are not getting into the habit of sitting- they are getting into the habit of doing. TV also is FULL of marketing messages- subtle and overt. When we TV and movies we are bombarded with different messages that OTHER people decide to share with us- usually in the pursuit of making themselves money (everyone’s gotta make a living!). I have no need for my children to be exposed to that. Think of all the branded merchandise and characters that are available and marketed directly towards children. We hear and bemoan the “marketing zombies” that so many people have become- why should I offer my kids up for that? This may not be directly related to personal finance (even though think about the money we save by not buying a TV or any subscriptions services!) but its about creating life-long habits in ourselves and our children. Its about starting as you mean to go on. It is not something we like to talk about or even think about. A bunch of us were collecting money for a group gift. I have no problem with any division of labor in a relationship. If a couple decides that the husband should be on charge of the finances completely, I have no problem with that. Do what work for you. If she wanted to wait till her husband came home to discuss this with him or have him handle the money transfer, then that’s great. What I have a problem with is that if something would have happened to her husband- she would not have had a way to access her money. 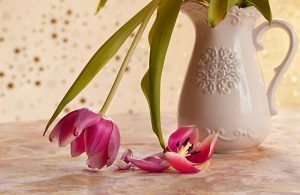 What would happen to you if your spouse died? Think for one moment (even though you don’t want to)- what would happen if you husband (or whomever takes care of the finances) would die or be incapacitated for whatever reason. WOULD YOU HAVE ACCESS TO YOUR MONEY? WOULD YOU BE ABLE TO USE YOUR MONEY? Do you know where the money is hidden? What the code to the safe is? Would you know where your money is? Do you have the login info? Do you know how to retrieve the money you need? DO you know how to pay your bills? For some of you reading this, you may think this is crazy. Of course you know this information- if so-good for you! But you would be surprised by how many people (particularly women) DO NOT have this information or access. I was talking about this with some friends- one person had an issue with this: what’s the big deal? Just reset the password? Just go to the bank with paperwork and they will give you access. Possibly. Probably. But how long would it take? Do you have access to the email account which is connected to the bank account? Do you have paperwork proving you should have access to the money? Can you wait until Monday at 9 am to do this? Do you have time to wait for the manager to verify your identity? Chances are, when unfortunately dealing with death or incapacitation this is NOT something you want to deal with. Know where your money is. Know which accounts you have and with which banks. If for some reason, you have separate accounts or private accounts- perhaps consider having a list of some sort (in a SAFE, SECURE space) that lists these details for the person you wish to have access to your account in the event you are unable to communicate with them. Make sure your spouse knows that passwords to your bank accounts, email accounts etc. If you can’t trust them with this information than perhaps you should reconsider your relationship. Designate your spouse as your emergency contact and “additional user?” on your accounts, credit cards etc. If you have separate credit cards, consider naming your spouse as an additional user who has access the credit card as well. Again, this doesn’t mean that you have to take care of your daily finances if that doesn’t work in your relationship. Many couples are very happy with the division of labor that they have chosen. That’s ok. But make sure that you have the KNOWLEDGE and ACCESS that you need in case of an emergency. Are you too poor to save for retirement? Read how I do it.